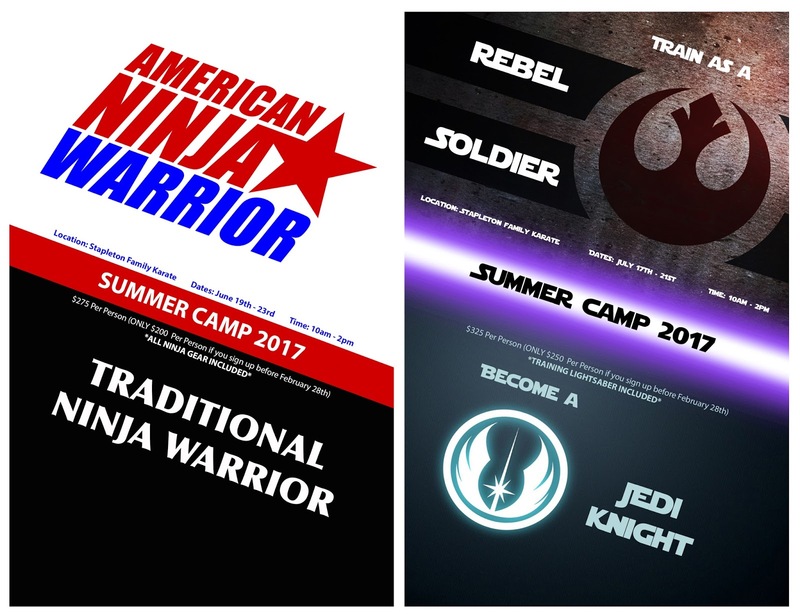 Stapleton Moms: Ninja and Star Wars Summer Camps! 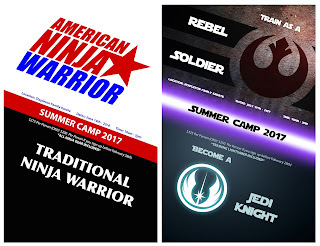 Ninja and Star Wars Summer Camps! 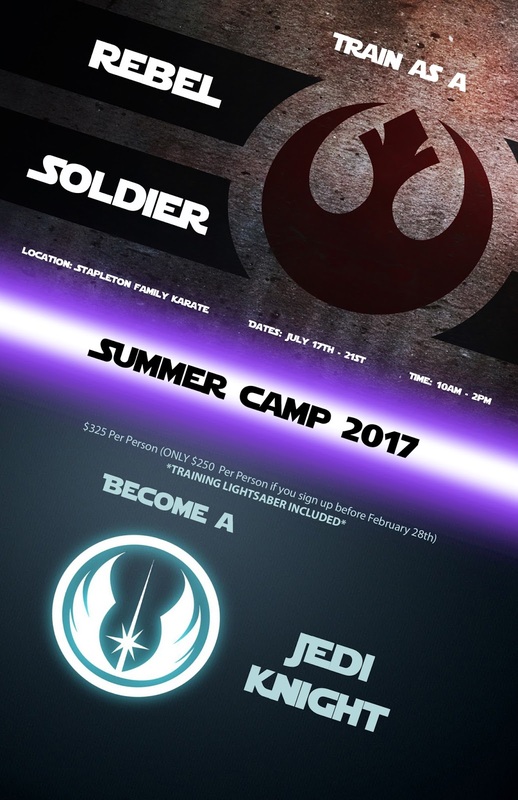 Are your kids Star Wars obsessed? Love American Ninja Warrior? 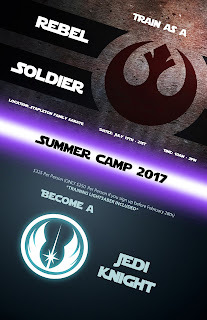 Are just super active? 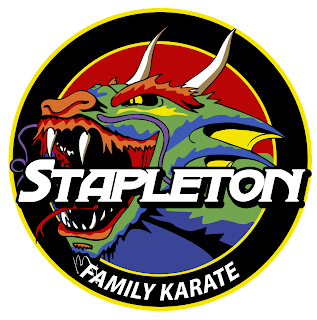 Stapleton Family Karate has the camps for you, right in the Northfield shops, and Stapleton Moms readers receive $35 off! 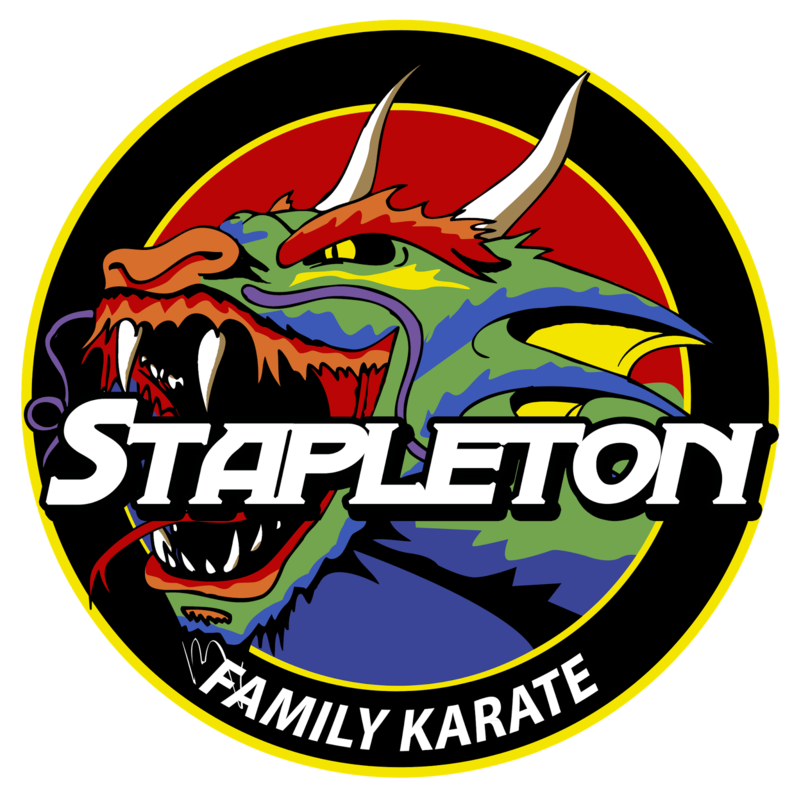 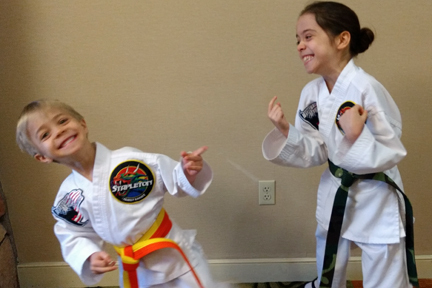 My kids have been attending regular classes at Stapleton Family Karate for about six months now and are SUPER excited to be in the Ninja camp this summer. 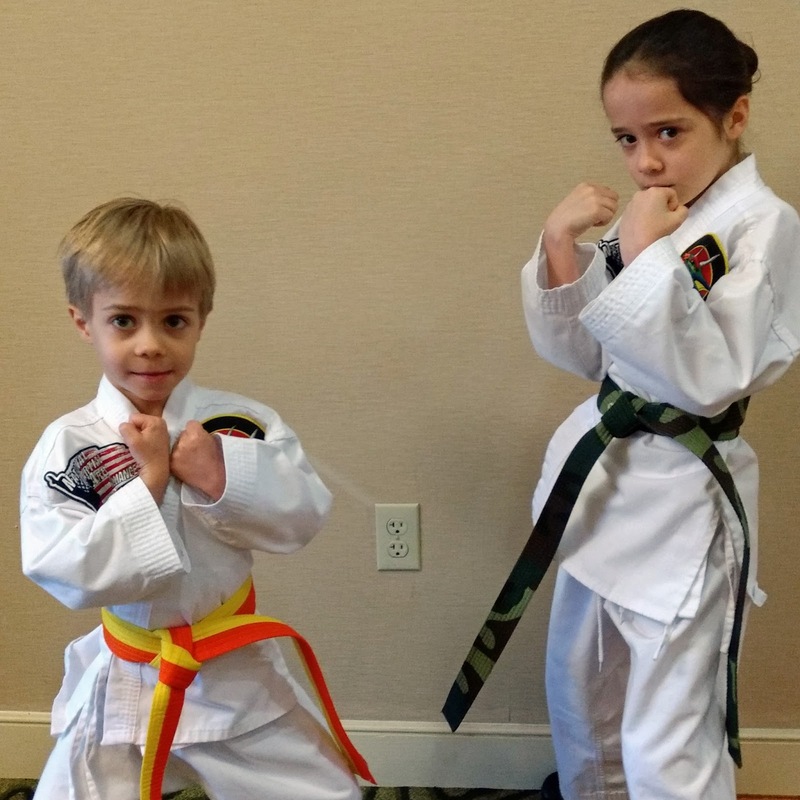 Previous martial arts experience isn't required - as a parent, I love that my kids not only have fun there, but they learn about respect, integrity, self-discipline, confidence, and all sorts of wonderful life skills. 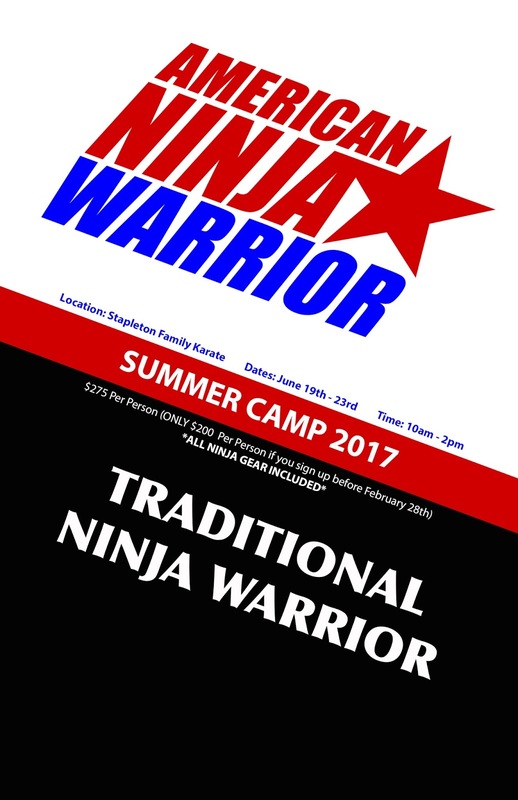 For more information or to register your child, call Stapleton Family Karate at (303) 928-0043.